This has been my favourite cake for as long as I can remember. A rich, fudgy brownie-like base topped with a crunchy, sweet praline topping – what more could you want? 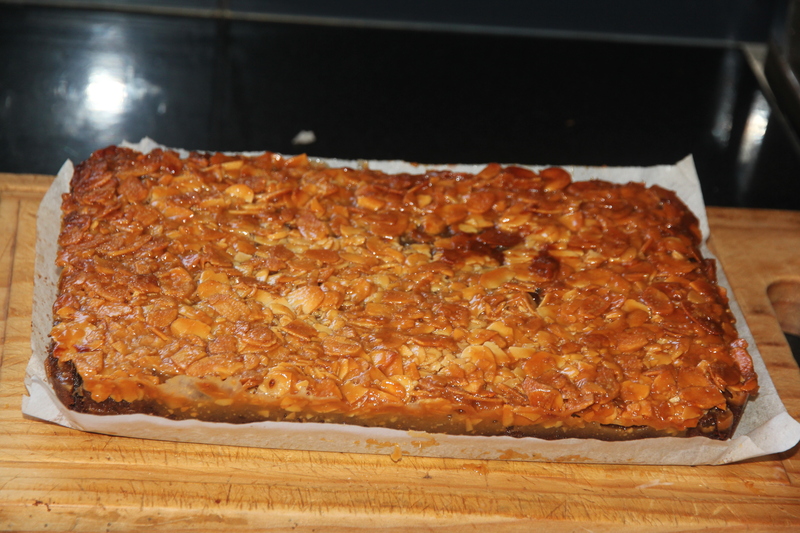 I love serving this with fresh raspberries and double cream. Melt butter & chocolate in a microwave or double boiler, stir until smooth. Beat eggs and sugar until creamy and changed in colour. Add chocolate mixture to egg mixture and stir to combine. Fold sifted almond meal and flour into mixture and mix well. 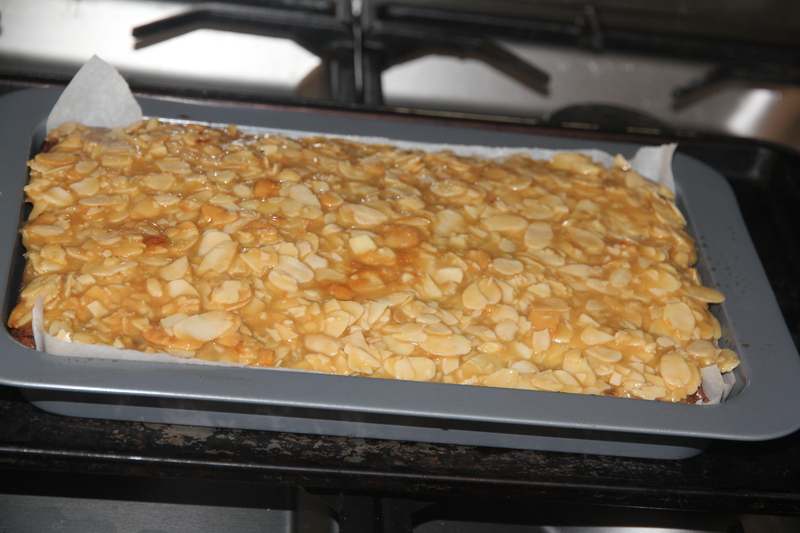 Pour mixture into a greased and based-lined 19x29cm rectangular slice pan & spread evenly. 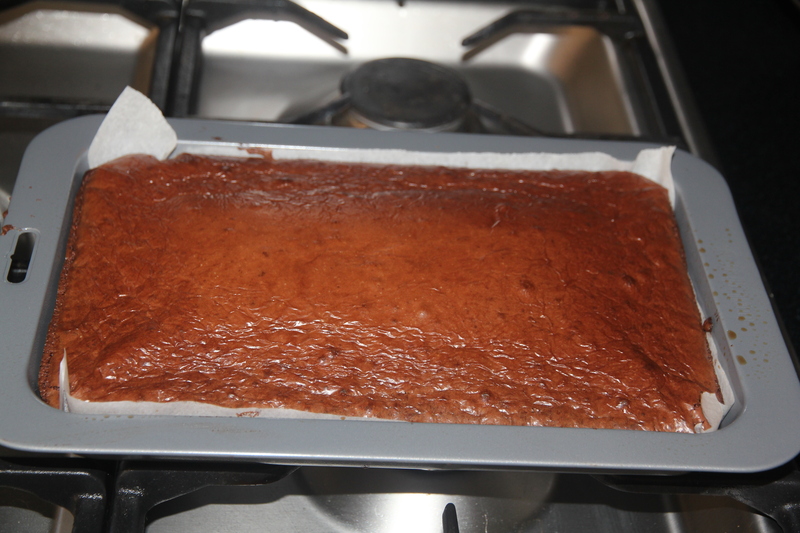 Bake at 175°C for 30mins then cool in tin. For the topping, combine all ingredients in a small saucepan, boil for 2 mins. Spread topping over cake. Bake at 175°C for a further 10-15 mins or until topping golden brown. Cool in tin (topping will harden on cooling). Cut into desired shape and size and serve with berries and whipped cream. Keeps for 5 days in an airtight container. Adapted from the Australian Gourmet Traveller, November 1996.